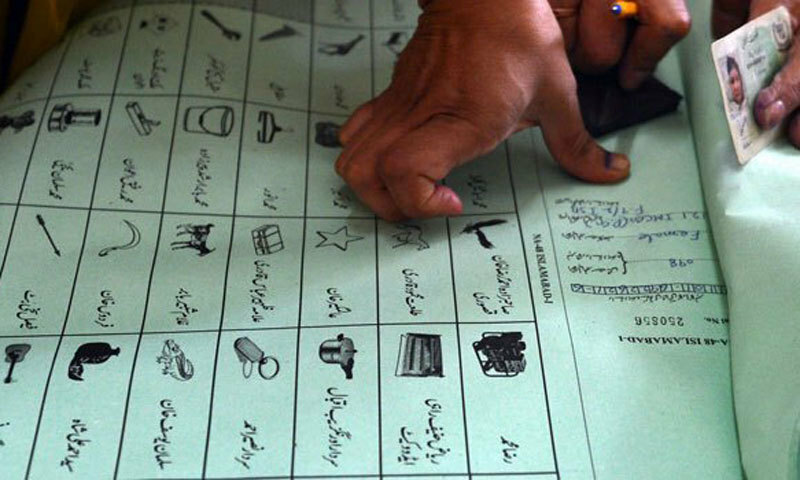 LAHORE: The Pakistan Muslim League-Nawaz (PML-N) has announced a comprehensive and effective anti-rigging system (ARS) to expose and prevent any rigging attempts in July 25 elections. This was announced by PML-N Central Media Committee Chairman Senator Mushahid Hussain Syed during a press conference at party secretariat on Monday. Speaking on the occasion, Mushahid announced that for the effective implementation of the anti-rigging system, the PML-N has convened a National Conference of Social Media Activists and Chief Polling Agents. The conference would be held on July 19 in Lahore which would include a training programme for chief polling agents from all constituencies where PML-N candidates are contesting. The senator said that apart from the PML-N, some other political parties including the Pakistan People’s Party (PPP) have publicly complained about attempts at rigging, interference, intimidation, manipulation, political engineering, and harassment besides nepotism and favouritism through abuse of office and undue official influence. He said that all these actions are a blatant violation of the code of conduct of the Election Commission of Pakistan (ECP), as well as all election laws, and those officials who indulged in such malpractices were willfully violating their oath of office. Such negative practices undermine free, fair and transparent electoral process while also making elections controversial as a level playing field is not provided, he added. In this context, Senator Mushahid Hussain cited a recurring pattern of behaviour that is targeting the PML-N leadership through systematic efforts to block PML-N’s legitimate political activities during the election period, the latest example of which is the slapping of cases, including provisions from the Anti-Terrorism Act, against its leadership and activists during the July 13 rally in Lahore. 130 cases have been registered against 16,868 PML-N workers and activists. He said that the three times prime minister of Pakistan, Mian Nawaz Sharif, is facing a trial in jail which is unprecedented for political leaders. According to law, he should be tried in an open court as only high profile terrorists are tried in jails. Mushahid unveiled the features of ARS, which is the first time in Pakistan’s political history that a national political party has formally launched a comprehensive system to counter rigging. Its notable features include linkage between candidates, constituencies, legal aid committees, social media teams and election observers, backed by a hotline number where complaints about rigging will be recorded and addressed in accordance with the law. Legal action will also be taken against individuals found involved in rigging in any form, including officials who violate their oath of office or the law of the land. They will be publicly named and their illegal activities will be exposed. Senator Mushahid Hussain also invited other political parties, civil society organisations, media, human rights groups and all the democratic forces to join hands with PML-N in promoting the cause of countering rigging so that the sanctity of the ballot can be preserved and protected.